We have all settled back into school. 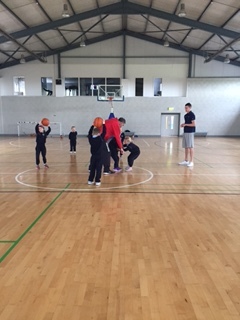 Each Tuesday in the month of September we will be learning and practicing basketball skills with Gary. He is an amazing coach. We are looking forward to Halloween. Check back next month to see all the fantastic art work that was completed to transform our ‘scary’ classroom.